Brussels, 12 October 2012: – Key stakeholders from the European digital advertising community met today to officially launch the European Interactive Digital Advertising Alliance (EDAA). As of today the EDAA will be responsible for administering the licensing of an interactive icon to businesses operating across Europe and websites involved in the delivery of online behavioural advertising (OBA), where ads are customised to users’ likely interests based upon the various websites they have previously visited. Companies are rolling-out the icon in or around online ads and on websites as part of a pan-European initiative aimed at providing internet users with transparency, choice and control over online behavioural advertising. The icon, when clicked on, provides internet users with clear information about the data collected and used for online behavioural advertising and how it can be managed and controlled by the internet user. This includes linking to a ‘one stop shop’ website, www.youronlinechoices.eu, now available in 24 different languages, where internet users can find more information. The initiative joins up with a similar initiative in the USA, providing global consistency for consumers and businesses. As part of the EU programme, companies will be held accountable for their implementation of the initiative. A new EDAA ‘trust seal’ will be issued to companies that have proven their compliance with the initiative through an independent certification process. In addition to this, internet users will be able to raise concerns about a company’s OBA practices with their national advertising self-regulatory organisation. 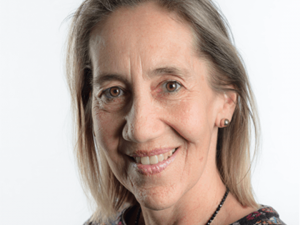 These complaint handling bodies will then investigate issues raised and take action where appropriate, based on a consistent European approach. The EDAA is planning a complementary pan-European education campaign for early 2013 aimed at increasing awareness of the icon, informing European citizens about what online advertising is and helps to fund and to help explain how consumers can manage their privacy preferences. “Companies are committed to the European self-regulatory approach in order to create a trusted online environment where consumers can feel confident that their privacy interests are fully accounted for”, highlighted Alain Heureux, Chairman of the EDAA. 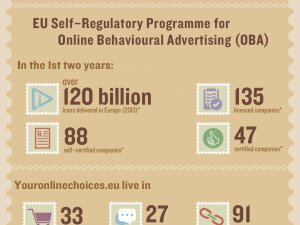 The European Interactive Digital Advertising Alliance (EDAA) is a non-profit organisation based in Brussels and is responsible for enacting key aspects of the self-regulatory initiative for online behavioural advertising (OBA) across Europe. 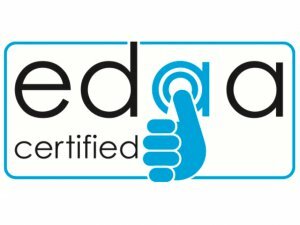 EDAA principally acts as the central licensing body for the OBA icon and provides technical means for consumers to exercise transparency and control over OBA through the User Choice platform on www.youronlinechoices.eu. 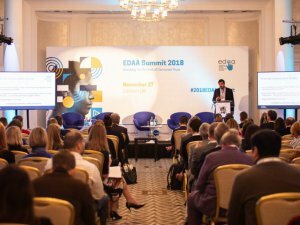 EDAA is governed by EU-level organisations which make up the value chain of OBA within Europe and acts to ensure consistency in the European self-regulatory approach. The EDAA’s guiding principles are laid out in the Interactive Advertising Bureau Europe (IAB Europe) OBA Framework and the Best Practice Recommendation for Online Behavioural Advertising of the European Advertising Standards Alliance (EASA).